and the modern mentality which believes that the causation of events in the world is due to other inner worldly events, so Bultmann held that one cannot accept modern science and the applications which we make of it and at the same time believe in miracles and other supernaturally caused events as these are related in the New Testament. Like Strauss, Bultmann did not hesitate to use of the word‘myth’ for those parts of the New Testament which introduce supernatural agency, and he also applied it generally to the whole framework of the narrative which claimed that God had sent his Son to die for the sins of the world and had then raised him from the dead and exalted him to eternal life.But Bultmann’s problems about the trustworthiness of the New Testament went far beyond the general application of a ban on the supernatural. In particular, he took up (though he did not originate) the method of form criticism.According to the form-critics, the Gospel narratives can be analyzed into distinct paragraphs—this is very obvious as we read these narratives—and the paragraphs can then be classified according to their form. As early as1921, Bultmann had carried out a detailed examination of the synoptic Gospels along these lines. His finding was that the paragraphs had originally circulated as independent units of teaching in the primitive Church and then they had been (to use the comparison that was often applied to the process) strung together like beads on a string. Although, as Bultmann did not deny, many of the sayings and deeds of Jesus have probably been preserved, we are in uncertainty about the order in which they occurred and are therefore unable to reconstruct the life, career and development of Jesus, except in very broad and inexact lines. 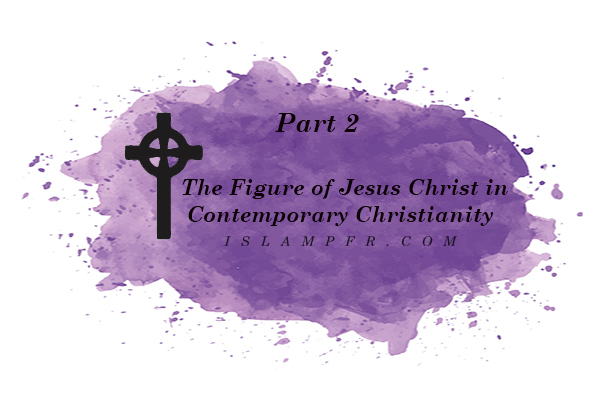 So although we can derive from the New Testament some idea of The History of the Synoptic Tradition (the title of Bultmann’s book),we are unable to reach the history of Jesus. But Bultmann does not believe that we read the New Testament for historical information. We read it in the hope of finding answers to questions raised by our own existence. This is the point at which Bultmann’s thought makes contact with existentialist philosophy, especially the analysis of human existence offered by the early philosophy of Martin Heidegger. Bultmann’s ‘demythologizing’ is the attempt to translate the mythological and even the historical elements in the New Testament into a language which interprets human existence.So when Bultmann was asked how he could still have faith in Christ when so little is said to be known about him, he could give several answers. One,which might make some appeal to a Lutheran, was that since historical research is a work, and faith cannot be built on works, it is a mistake to try to base faith on historical assertions. Again, if we read the New Testament to learn about our own human existence and the way that leads from an inauthentic to an authentic existence, we need not be too much concerned with the historical or literal accuracy of the stories, provided we appropriate their saving message. Finally, however, this seems to mean that we need not be too much concerned about the person of Jesus Christ himself. Bultmann believed that the personal history and character of Jesus had been absorbed into his historical significance, so that we need only know the ‘that’ (dass) of Jesus, the fact that he lived and gave the message, not the ‘what’ (was), the content or character of his life. His significance seems to be exhausted in his being the bearer of the message. Bultmann was strongly opposed to any ‘objectifying’ of the belief in Christ.Here we find echoes that go back to Ritschl, Melanchthon and the early Luther. To confess that Christ is God is not, according to Bultmann, to make a statement about his nature but to acknowledge his significance for one’s own existence. This is perhaps the key instance of Bultmann’s systematic demythologizing or existential interpretation of the New Testament. But surely a critical question arises at this point. Can a rational being give a whole hearted existential commitment to Jesus Christ or accept the proclamation that he is the way to an authentic human existence without some assurance about who or what Jesus was? Though many theologians of the present day have attempted to get away from objective questions of history and likewise of metaphysics, can faith and theology really be insulated from such questions? Would Bultmann himself have spent all the energy and ingenuity that he did in wrestling with the questions of Christian origins if he had really believed that only the ‘that’ and not the ‘what’ of Jesus has any existential significance? Paul Tillich (1886–1965) may be included among those who viewed the figure of Jesus Christ from an existentialist point of view, for although he drew on other parts of the philosophical tradition, he expressed a special debt to existentialism. So although we find in him remnants of German idealism (Schelling), of the mystical tradition (Boehme), and of depthpsychology (Jung), his starting point, like Bultmann’s, is the questioning that arises out of human existence. But Tillich differs from Bultmann in two important points. For the questions, he looks to the contemporary culture in general, rather than to the individual; and in seeking answers to the questions in the Christian revelation, he is concerned not just with human existence or human society, but with general ontology. Does this mean that Tillich offers a more adequate interpretation of Christ than does Bultmann? In some ways, perhaps he does. In theory at least, he maintained that ‘Jesus Christ is both a historical fact and a subject of believing reception’ (Tillich 1953–64:2/98). He insisted on this for the good reason that if one leaves out the historic factual of Christ, one has left out what appears to be an essential part of Christian faith, namely, the assertion ‘that essential God manhood has appeared within existence and subjected itself to the conditions of existence without being conquered by them’ (ibid. : 2/98). It would seem that quite a weight of historical material is covered by Tillich’s expressions, but in fact he has very little to say about it, and is far more interested in what may be called the symbolic or universal significance of Jesus Christ. Indeed, among twentieth-century theologians, Tillich must be counted among those who set least value on historical information. On the other hand, by concentrating attention on the symbolic significance of Jesus,Tillich was able to give a far more affirmative account of the religious quest of mankind than Barth had done, and was able to commend an affirmative attitude among Christians towards people of other faiths.